Modders just won't give up on the Doom engine, and every year more awesome creations are released by an endlessly dedicated community of WAD creators. There are so many weird and creative map projects available for the first Doom, we had to spread the choices out over 8 years of map-making. Here, we're going to pick out the best and brightest Doom WADs and explore the archives of Doomworld to pick out 8 amazing WADs from the last eight years, starting from 2016 and going back. To play any of these WADs, just download any of the Doom Engines available on Google. Comatose is like your average DOOM map, and it's a completely unique, incredibly detailed creation that's so unlike any other map in DOOM. Heavily inspired by games like Silent Hill, Russian WAD-maker Lainos has made a map that's (almost) literally insane. This map is so vast, it actually reaches the DOOM engine's sector limit. It couldn't be any bigger. Like Silent Hill, the map is built like a town you can explore freely. 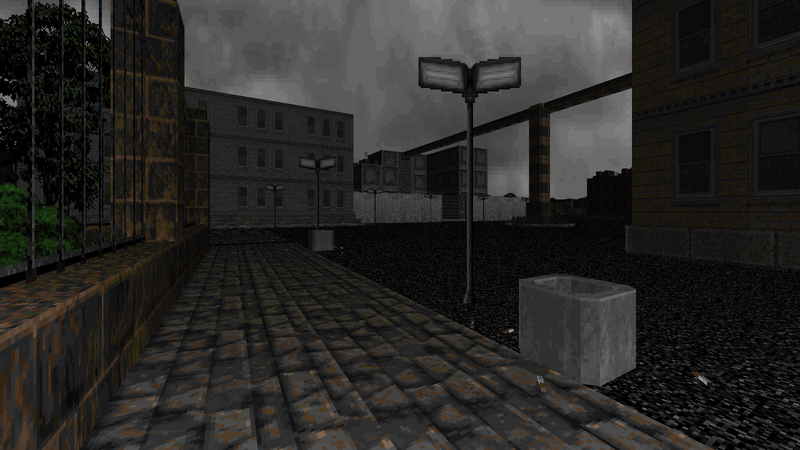 There's a working class beauty in these simple environments, and it just goes to show how much life the old Doom engine still has. Modern environments that actually look like modern environments? Yeah, that's possible. Also, all the enemies are invisible. Have fun!